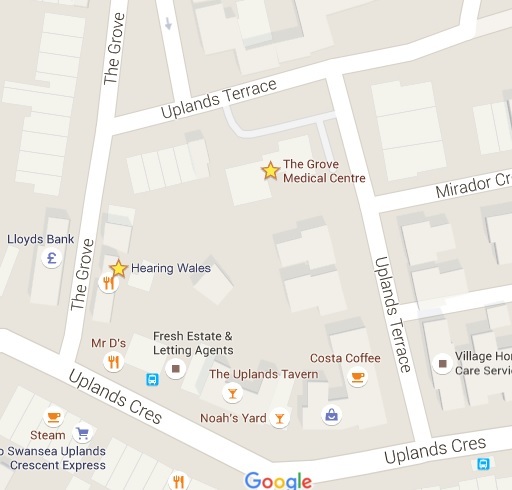 Hearing Wales Swansea Branch is located in the Uplands Area at 47-48 The Grove. The post code to use in your sat nav is SA2 0QR and this will bring you to The Grove which is a one way street. If you have mobility problems, please telephone Hearing Wales Swansea office on 01792 650894 prior to your arrival. We will then keep a space outside our front door for you!! Alternatively, you can arrange a home appointment if that is easier for you.